A recent fatality in Volusia County has shone a spotlight on whether motorcycle defects can contribute to injuries. According to the Orlando Sentinel, a 19-year-old man was killed a little before 1:00 on July 10 while riding on Interstate 95, near the 252 mile marker. He was was driving north at a very high speed when he struck a Jeep driven by Dominic Robinson in the rear. According to the police, the man’s motorcycle then split in two, throwing him to the ground. Emergency personnel pronounced the man dead at the scene. Police are still investigating the recent accident in Volusia County, so it is impossible to say whether any defect in this man’s bike contributed to his death. Certainly, motorcycle frames cannot retain their integrity in all accidents, especially ones at high speeds. Nevertheless, it is also possible that a motorcycle defect caused the bike to split in two, contributing to the man’s ultimate death. Brake defects. Ducati recently recalled 8,000 motorcycles because the front brake master cylinders were at risk of failing. In particular, the brakes did not comply with federal requirements for motorcycle brake systems. Fire risks. Zero motorcycles issued a recall of its 2012 models because a defect in the bike’s battery pack could lead to fires. Steering problems. Kawasaki recently issued a recall because a shifting problem could cause gears to break, rendering their bikes unstable. 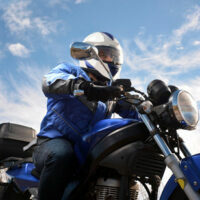 Those interested in whether their motorcycles are subject to recall should check with the National Highway Traffic Safety Administration’s recall website for updates. A motorcycle does not need to be subject to recall to be defective, though a recall is obviously solid proof that there is a problem with the bike. Instead, your motorcycle accident lawyer will need to have the bicycle inspected, so remember to preserve the bike wreckage after a crash. In many cases, we ask an expert witness to inspect the bicycle to identify whether a flaw contributed to the accident. In many cases, defects can show up in the design for the bicycle or in how the particular bicycle was manufactured. These expert witnesses are also helpful in the event your case goes to trial, because they can explain to a judge and jury what is wrong with the bike in plain language. After receiving medical care, you should contact an experienced motorcycle accident attorney in Volusia County to discuss your case. Lawsuits involving defective products are some of the most complex that we deal with, so it is vital that we start building your case right away. At Bundza & Rodriguez in Daytona Beach, we provide caring legal advice for injured clients worried about their futures. When a motorcycle manufacturer has contributed to your crash by selling a defective product, you need to hold them accountable. Schedule your free, no-strings consultation with one of our lawyers by calling 386-252-5170 or submitting an online message.